LIUM is as practical as it is fashionable. 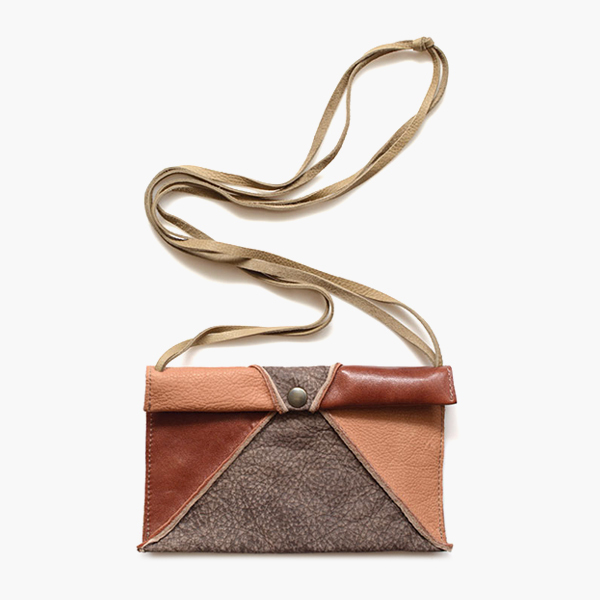 She’s made of a mix of beautiful brown and grey soft leather. LIUM is your must-have pick for the festival season. She conveniently keeps all your small items, such as lipstick, keys or credit cards together. With her size of 24 x 15cm she’ll be easy to carry around day and night. All JEE’S Special Pieces are one-of-a-kind or very limited editions, only available from the JEE website. Made for you, like all JEE’S, to cherish, to love, to show off and to become a part of your life. Made for you with love to last and enjoy. Want a custom made LIUM bag? Let JEE know by sending her an email with your color request!